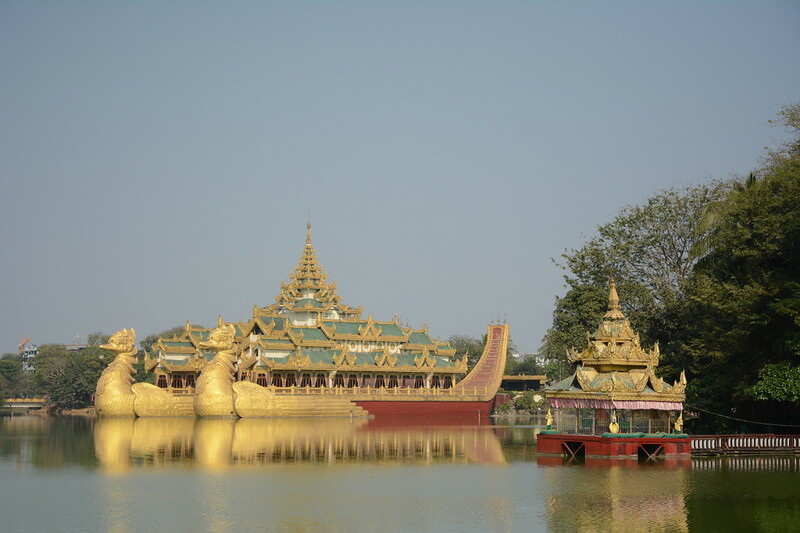 It was going to be my first trip to South East Asia… Lenka and I had made the decision late last year, after reading a series of news paper articles about the country in a Swiss newspaper, that we would spend the Spring Festival Break in Myanmar. Another country of which only bad things appear in the news, but also a country that is changing rather quickly. Particularly when it comes to tourism. From the numbers we heard, visitors have multiplied by 5 in the last two years. Apparently prices for accommodation had doubled or even tripled. However many parts of the country remained untouched or where changing only slowly. So there still was some original Myanmar to see. The most frequent question we heard before leaving was: “Excuse me me, where again are you going?”. It was either that people hadn’t heard about the country, due to the initiatives of the current government to return to pre-colonial names for the country and its cities or that people only had heard about the repressive government and never ventured going there. With the recent political changes also due to the poverty of the country, the government had to take action to change. Two things they implemented are really beneficial for the local people: opening up for tourism to bring hard currency into the country and building paved roads into each and every village before the next elections in 2015. 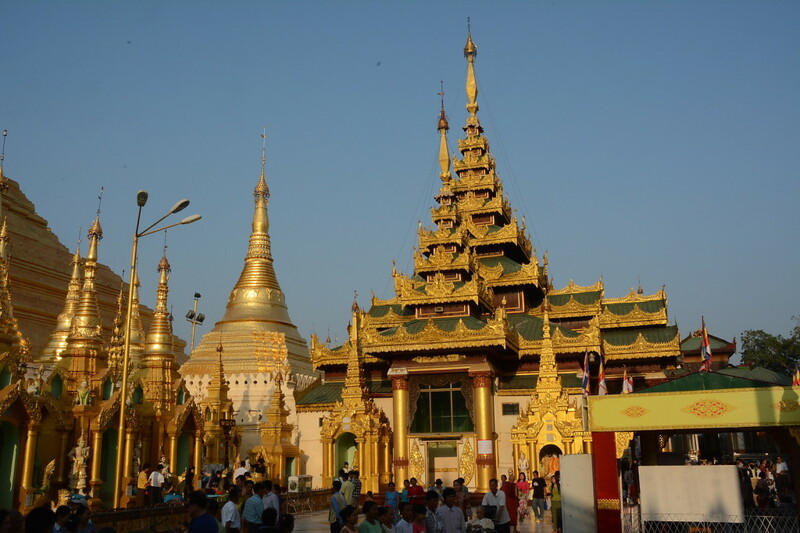 Our flight from Beijing via Kunming brought us to Yangon (formerly Rangoon) Mingaladon Airport on January 25. Immigration was smooth as was changing some unspoilt US dollar bills into Myanmar kyats (pronounced similarly as chut). Finding a taxi into the city center of course was also no issue as the usual craziness of taxis awaited in front of the airport. Of course one driver had been following us from the arrival area and since the nice lady of the Ministry of Tourism at the airport told us what a taxi should cost, there was little opportunity for the driver to ask for more. However we didn’t need to be too worried, since Myanmar is definitely not (yet) China when it comes to prices for foreigners. While negotiating is possible and necessary for almost anything (including hotel rooms), the deductions one can achieve are usually around 20% unless one really wants to push it. 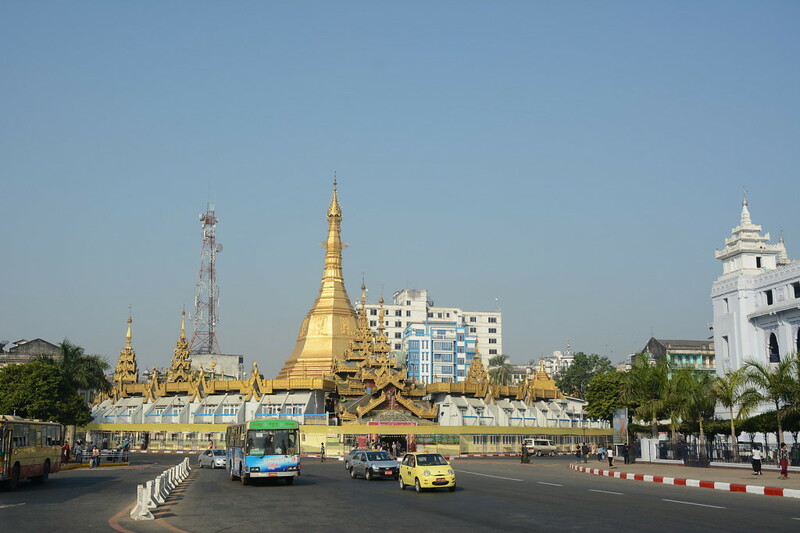 We had the taxi driver drop us off near the Sule Paya, the golden pagoda around which the British laid out the city center of Yangon. We started walking up and down the streets in order to find the guesthouses and a place to sleep. 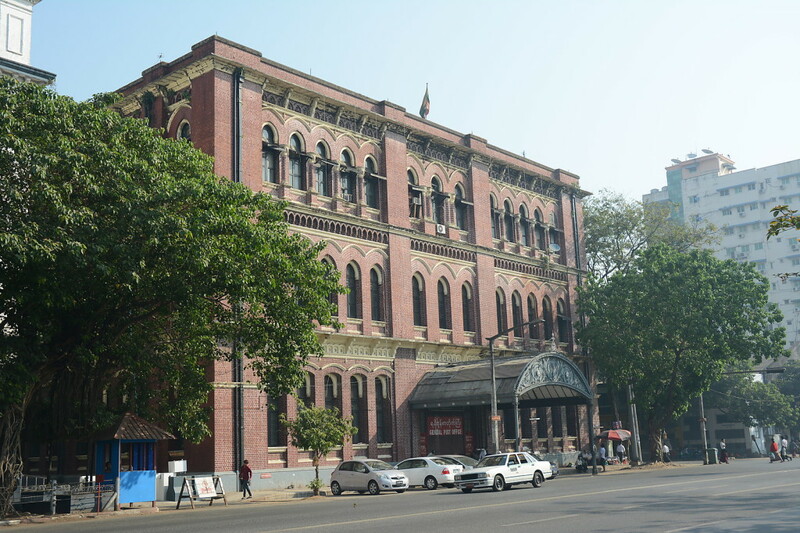 Worrying about not finding a room during in Yangon proved to be useless, although we had to ask at 4 guesthouses until we were shown to an available room. Simply asking whether this was the best they had available resulted in some discount. Haggling had never been that easy! 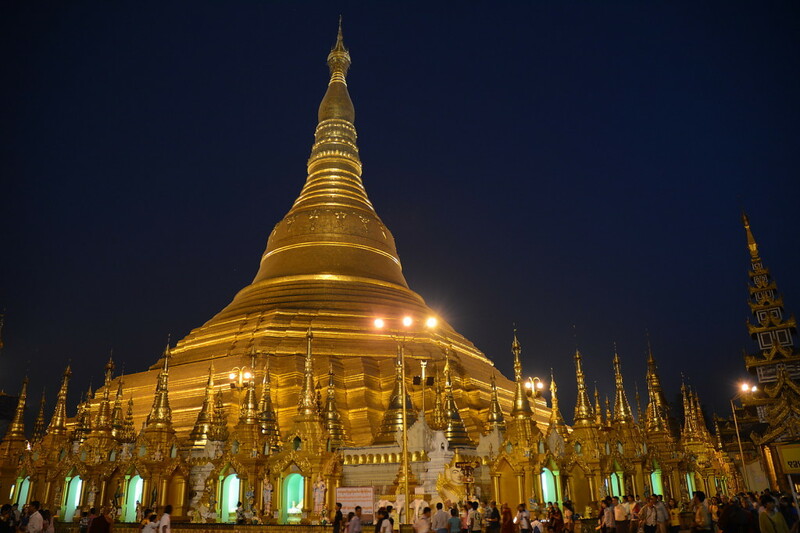 We used our first full day in Yangon to visit the city center and of course the famous Shwedagon Paya, the biggest golden pagoda in Myanmar. Our walking tour started from our guesthouse near Sula Paya first to visit another pagoda near the city center, which was Botathaung Paya. It was our first encounter with the special treatment that foreigners would be getting in Myanmar. We could buy our entry tickets at a special booth and deposit our shoes there as well, while all the locals just left their slippers in front of the entrance and just walked in. We enjoyed the peace inside, even when there were people with small stalls selling various paraphernalia, we could visit the place with being torn from stall to stall. Not once did we have did we have to tell sales person that we were not interested (which most of the times we weren’t on our first day). The relict for which attracts a lot of Buddhist pilgrims to Botathaung is a hair of the Buddha himself, which is kept in the center of the pagoda. 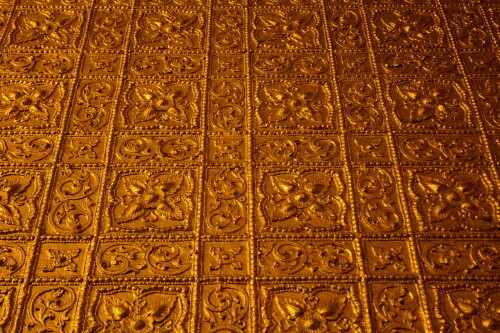 Surrounded by a labyrinth of gold, it proved to us why Myanmar calls itself the Golden Land. 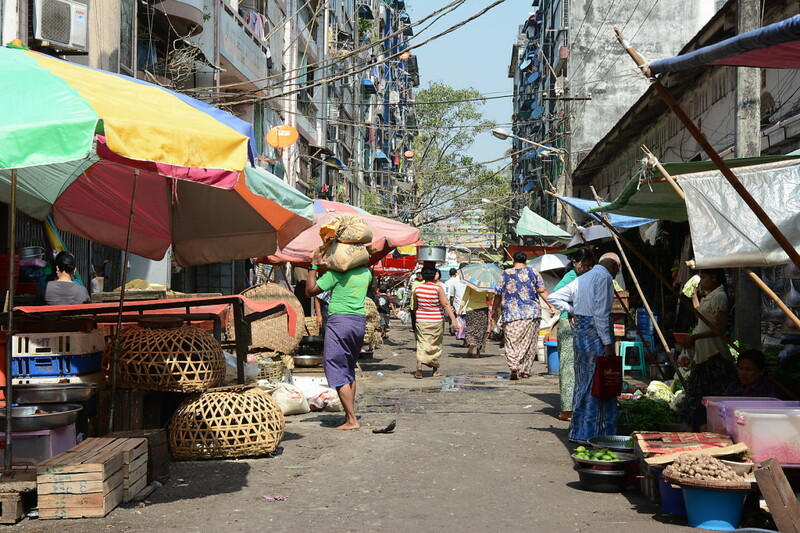 As lunch time was approaching, we found ourselves amidst small food stalls in the streets South of another large market, the Bogyoke Aung San Market. Carefully we evaluated the colorful food on display and chose three dishes we could only guess what they were, a couple of plates of rice and some tea as our first lunch in Myanmar. It turned out that the food was excellent, clean (at least we didn’t suffer any negative consequences) and cheap. 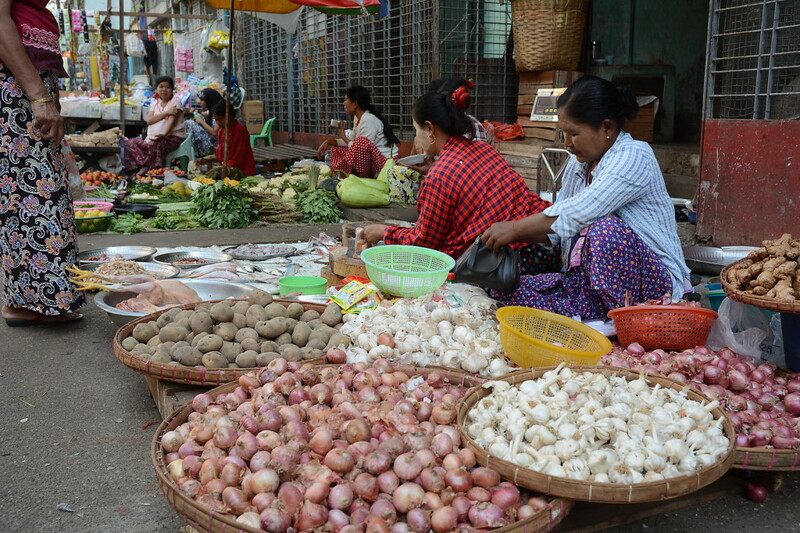 In the afternoon we strolled through Bogyoke Aung San Market, had a delicious, fresh papaya juice there and slowly made our way to the Kandawgyi lake, north of the city center. While a young local pointed us to some back gate where we could enter the park surrounding the lake, once inside the park we were soon approached by a young lady asking for 2US$ entrance fee per person. This was not the last park entrance fee we paid that day… We were quite taken aback when the former Karaweik Palace came into view. Now a restaurant, the palace has the looks of a boat carried by two birds (that’s why Lenka calls it the chicken boat! ), all gold-plated. Now we knew what was displayed on the labels of Myanmar beer! We stuck to our plan to visit the Golden Hill (that’s what Shwe Dagon, translates to) in the late afternoon to see pagoda during the nice colors of the sunset. Obviously we were not the only ones. We had seen the impressive main pagoda in many pictures before, however were not prepared for the entire set-up around it. 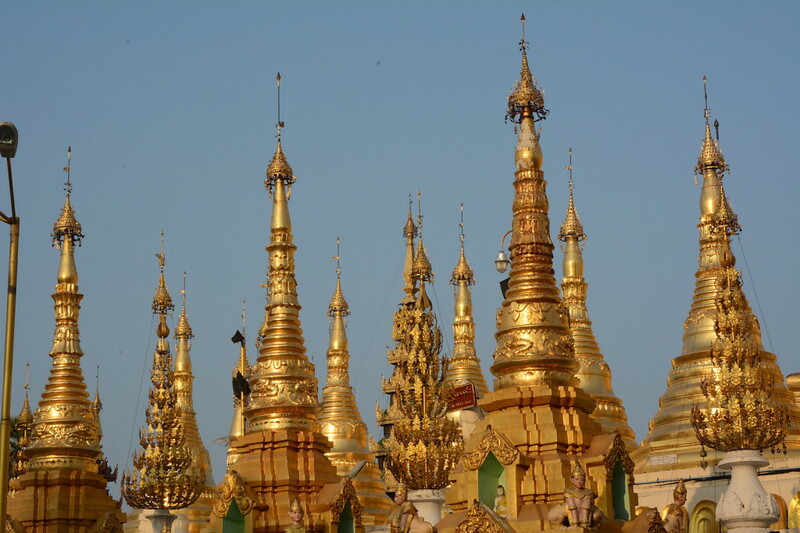 Many smaller stupas, golden temples and a palm tree here and there occupy the top of this amazing hill in Yangon. We learned three things about holy sites in Myanmar: First, shoes always have to be taken off inside, which was no surprise. Second, we expected people to be quiet inside temples, which proved to be wrong except for the people in prayer. Third, despite the many people inside sacred Buddhist sites, there is no pushing or shoving or yelling of any kind, people talk but everything is very calm and peaceful. We enjoyed the evening just sitting down in various places and watch people, pilgrims and tourist alike to discover the hidden away places of the pagoda. Once night had fallen over Yangon and the Shwedagon Paya, we made our way back to our guesthouse on foot, enjoying more excellent food on the way. We already had to pack for our first trip early the next morning by plane to Heho. 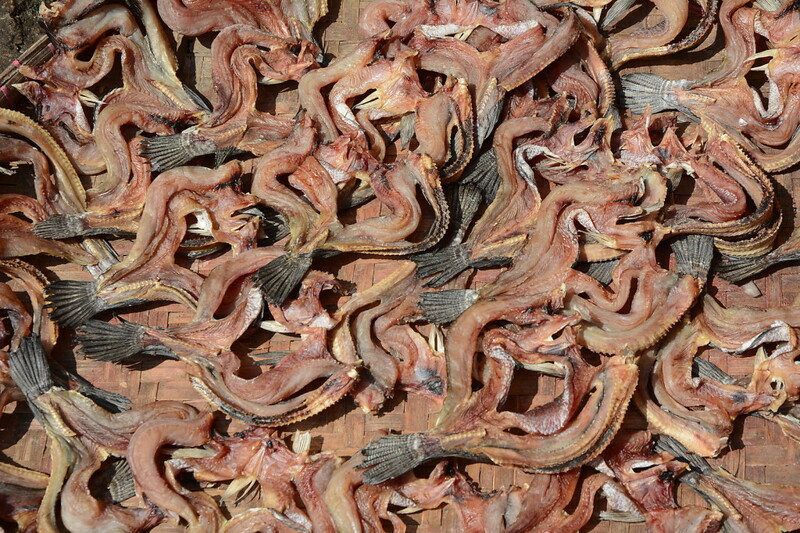 This entry was posted in Myanmar and tagged Gold, Myanmar, SE Asia, Travels by Oliver Meili. Bookmark the permalink.